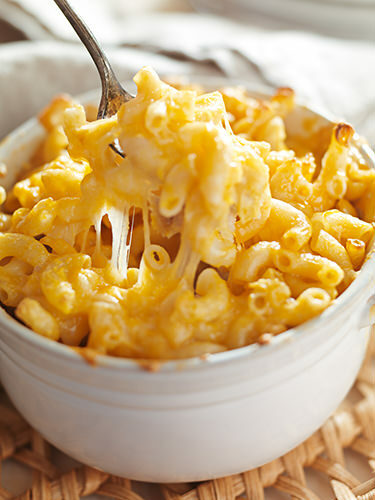 Mac and Cheese Recipe - Macaroni with 4 Cheeses DELICIOUS! There seems to a huge difference between Macaroni and Cheese recipes floating around. Recently I had dinner on the Gold Coast that reminded me of the many Mac & Cheese dishes that I’ve eaten over the years. Needs to have a crusty grilled melted cheese layer on top. The recipe needs to include a tasty cheese with good melting ability, a stringy cheese and a matured cheese for extra flavour. The sauce needs to be creamy enough to coat the pasta and get inside the tubes of macaroni. The sauce should not be too thin that the dish won’t hold it’s shaped. The sauce should not be too thick that it tastes gluey with the pasta. Preheat an oven to 350ºF or 180ºC. Cook the pasta as per the manufactures directions. Drain and place the cooked pasta and reserve for later. Add the butter to a saucepan and melt gently. Stir through the flour to make a roux. The flour needs to be cooked but not browned, approx 2 mins stirring constantly. Reduce the heat and slowly add 1/2 cup of milk to the roux. Whisk the milk though the mixture vigorously until there are no lumps. Quickly add another 1/2 cup of milk and whisk again. Remove the saucepan from the heat and whisk through the remaining milk, cream, mustard tomato paste and cayenne pepper. Once combined add the saucepan to a medium heat. Stir the saucepan constantly until the sauce has thickened. Remove the saucepan from the heat and add all the cheeses. Stir the sauce for a minute or two then return the saucepan to a low heat. Season the cheese sauce with salt and pepper as desired. Stir the sauce through the pasta. Pour the macaroni and cheese into a baking tray or individual serving dishes. Sprinkle the topping ingredients evenly over the macaroni cheese. What has been your experience with the humble Mac and Cheese? 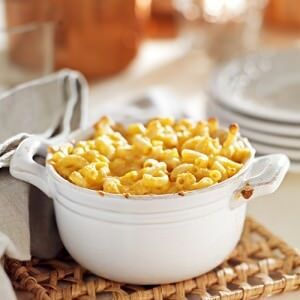 Do you add anything special to your Macaroni and Cheese recipe?